‘Windows No. 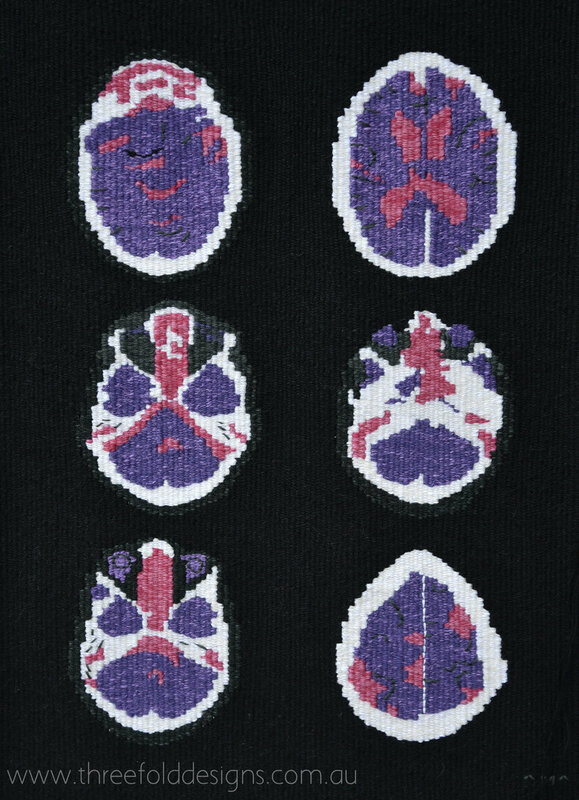 5 – Portrait of Dementia’ was inspired by a series of CT scans, which have been interpreted through the medium of hand woven tapestry. Although dementia is stigmatised as a condition focusing on memory loss, it is well documented that patients still retain personal long term memories. This manifests itself through a preference for favourite music, activities and, in the case of this artwork, favourite colours. This piece is a celebration of a vibrant and colourful life.